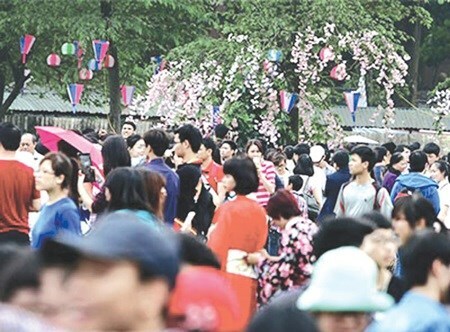 Hanoi (VNA) – The capital city received 161 cherry trees (Sakura) from the friendship association in Japan’s Fukushima City on November 24, reported the Ha Noi Moi Newspaper. Some of the trees have been planted at Thang Long Citadel Complex, where the handover ceremony took place. The others will be planted at several locations across Hanoi, including the spiral-shaped Co Loa citadel, Hanoi Museum and Hoa Binh Park.